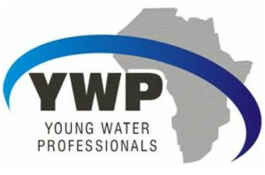 The IWA YWP programme has many opportunities on offer for its members and SGs provide many unique ways for YWPs to get involved. What are IWA Specialist Groups (SGs)? Specialist Groups (SGs) and their respective Task Groups, as well as the Specialist Group Clusters are described as the ‘heart’ of the Association. Through SGs, IWA members contribute to and participate in issue-based interactions on scientific, technical and management topics facilitating collaboration and generating outputs, including conferences and publications. There are currently 48 active SGs in the IWA. You can find the description of each group and their committees on the website; explore them here! As a member of IWA your involvement in SGs will give you access to a unique forum for collaboration and knowledge exchange across the world. Especially for young people, SGs can create unique opportunities to meet the leaders in your field, connect globally to cutting edge knowledge developments, and shape the sector. There are a number of ways you can engage in IWA Specialist Groups. Apply for IWA membership and select which SG you would like to join. Take up an initiative to create task groups or working groups. ​Please contact the committee should you wish to speak to them about particular ways you would like to get involved. The IWA and its Specialist Groups have produced an IWA global trend report which is freely available for IWA members. You can download a digital copy after logging in to our IWA website (under specialist groups). You can also download the statistics leaflet 2012 on the same page as members only resources (this version of leaflet is much more extensive as we have many more countries, regions and cities included in this leaflet). Also don’t forget to visit the full list of Specialist Groups conferences / events - where you can register at the discounted member rate. Many of the specialist groups organise their open meetings to meet their SG members during the IWA World Water Congress & Exhibition. Please find more info on the Congress website.